Pack your bags and move on in! 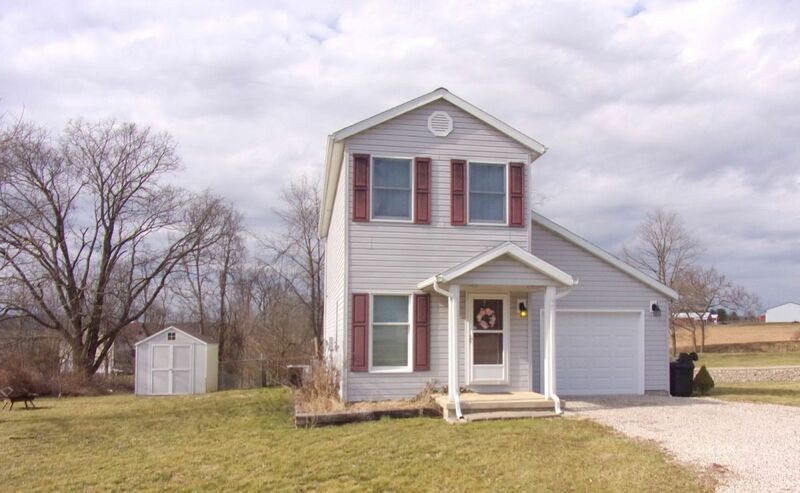 This 3 bedroom 2 bath home has everything you are looking for. The home features nice laminate plank style flooring in the common areas of the main floor, making for easy clean up and care! The kitchen is an eat in style featuring a gorgeous custom-built butcher block island with bar. A nice size deck opens off the back of the home into a partially fenced in back yard, perfect for outdoor entertaining or any furry friends! One bedroom on the main floor which would also make a nice office. Main floor also features a full bath, a nice bonus for any guests. Upstairs you find a freshly painted stairway leading you to a hall with 2 very nice sized bedrooms and another full bath. All this sits on a little over 1/2 an acre m/l with a one car attached garage. This one won't last long!